Visitors over the weekend, taking the passenger train to Swithland Siding and back, were also treated to four shunting demonstrations each day. In between the demonstrations the shunting team ran the Narrow Gauge loco between the far stonemasons’ hut and back up to the gate. This was very popular, the distinctive sound of it’s 3 cylinder engine reverberating around the quarry. Whilst on display children were allowed to sit in the cab (under supervision) for photos. On Saturday we also had a sales stand by the stonemasons’ huts with second hand books, plants and other items available in exchange for a donation. The stand was also home to “Dave the Pumpkin”. For £1 you could guess his weight for the chance to win some excellent prizes. “Dave”, with some trepidation, was also out and about over the “Spooky Wood” weekend. The garden railway was also in action on both days giving plenty of children the chance to drive one of the trains. Whilst on Sunday two volunteers from the GCR Rolling Stock Trust were with us in the Railway Museum, talking to visitors about their coach, it’s history and restoration. What an amazing weekend! Well over 2000 people took to the spooky trail, whilst Percy and Thomas must have been dizzy and exhausted from the continuous stream of children taking the opportunity to drive them round and around the garden railway. Six people correctly guessed that “Dave” the Pumpkin weighed 14.0kg. Their names were drawn from a hat to determine who won the afternoon tea for two, the bottle of whisky and the bottle of Tia Maria. The competition raised a further £250. Sadly “Dave” has now been sliced and diced and is selling well as the soup of the day in Granite’s. The weekend raised over £2,500 which will be split between Eco and Heritage projects. On 23rd October a number of the Loughborough Ladies WI visited to plant daffodil, crocus, tulips, snowdrop and allium bulbs around the car park bank. It was part of the Leicestershire and Rutland Federation’s Centenary Challenge to improve the local community in some way. 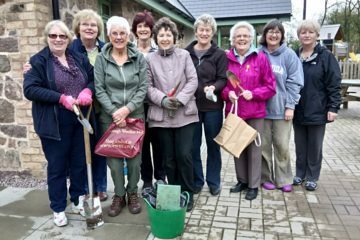 The Loughborough Ladies enjoy visiting Granite’s Cafe for their monthly coffee clubs and are looking forward to seeing the fruits of their labour in the Spring. Our first site tour was a great success. Eighteen members of the Soar Valley U3A history group enjoyed a 90 minute guided tour of the site. Their tour covered the natural history of the trail moving on to the social history of the site including Dobb Hall and the Bowler family. The industrial history of the quarry and the development of the Mountsorrel railway was rounded off with a tour of the railway museum and the 1888 MS&LR railway carriage. Following this first tour we have made a few changes to the tour times. The earliest start has been moved back to 10:30 to allow time for visitors to arrive, and the latest tour time has been brought forward to 3pm to ensure that the tour completes before 4:30. We have also decided on a single flat rate of £5 per person, with a 50% non returnable deposit payable at the time of booking. We also hope to ensure that group sizes are kept small, typically between 10 and 20, to make the tours more intimate. If you have not had the opportunity to read the display boards down in the exhibition building then you may not be aware of the background to our project. Several of the displays are summarised in this short YouTube video. The Mountsorrel and Rothley Community Heritage Centre project started life as the “Mountsorrel Railway” restoration. Over the years our amazing volunteers have suggested new areas to explore and develop. For example the Nunckley Trail, and more recently the Spinney Trail, were created to manage and enhance the wildlife and ecology of the area. The Heritage Rooms now have a wealth of displays dealing with local history, whilst the exhibition building concentrates on mining, geology and the restoration of the site. The railway museum is starting to fill with exhibits which again are linked to granite mining in the area. As the site becomes more developed our volunteers are split between maintaining the site and developing it further, and of course we are always short of funds! So what are our plans for the future? Visitors cannot fail to notice the large bank of soil beyond the railway museum. When the quarry base was cleared and levelled this was a convenient place to “store” the soil. With Tarmac’s help we will soon be removing the 4000 tons of soil. With the road-way widening completed we have now been able to take delivery of the brake van, the renovation of which is likely to take several years to complete. In the next month or two we hope to set out the inside of the first stonemasons’ hut as it would have been around the period 1890-1910. There will be quarryman’s tools and different types of granite pieces that the stone mason would have made, such as setts, capping stones, kerbs, etc. Leicestershire Museums Services are loaning us a mannequin which will be seated, dressed in period costume and posed as a stonemason dressing the stone. A new display board will explain the process of “dressing the stone”, with boys as young as nine bringing tub wagons with stone ready for the stonemason to work, then loading and taking away the completed setts, and other items. We hope to have the hut ready to open around the end of the year. We are also developing information boards to position in front of the rock faces alongside the path as you walk round to the railway museum. These will tell more about the geology of the area, how the granite was formed, how the quarry extracts it, both now and in the past. They will also explain the ecology and wildlife that lives in and around the rock faces. 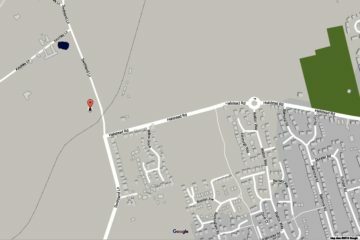 We are working with Tarmac and Leicester University’s Geology department to provide as much detail as possible. The last two MGC wagons need to be completed. 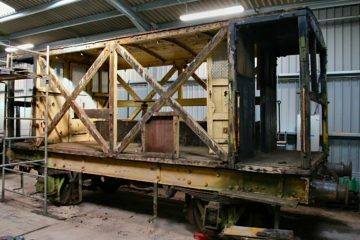 There is quite a lot of reassembly work to do with the timber and metal fittings for these plank wagon and once finished off and painted the sign writing can take place. With the soil bank cleared another siding will be laid alongside the railway museum. This additional siding will give extra space for shunting demonstrations and creates the potential for extending the museum over the new siding to give more covered stock storage space. Snibston have very kindly donated a point and track, which we will be collecting during November. The woodland behind the bank will remain as it is. It would be nice to create a foot path through it, running from the eco toilets through the wood and over the crossing back to the stonemasons’ huts. … and finally we always wanted to encourage schools to visit our site. Sadly our current infrastructure just cannot cope, so our long term aim is the construction of a 500m² “Discovery Centre”. This will not only provide further exhibition space concentrating on local heritage, the geology and social history of the Charnwood Forest, but will also provide study and lecture space for local schools to use. The development of the Discovery Centre is dependant on obtaining funding and the necessary planning permissions. Obviously progress on these projects will depend on the amount of time our volunteers can give to the project, availability of funding, and in some cases, planning permission.